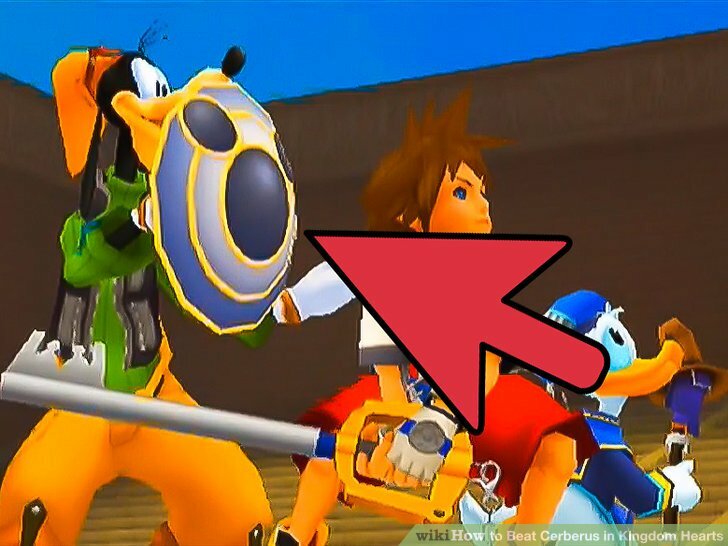 Is Kingdom Hearts Racist? One New Yorker Thinks It Might Be. 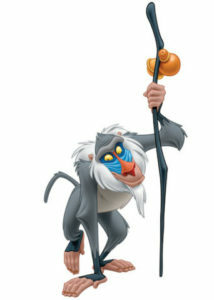 - Talk This! 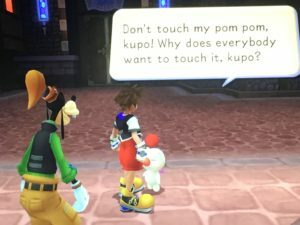 Is Kingdom Hearts Racist? One New Yorker Thinks It Might Be. It’s getting cold out here in New York City, and you know what that means! It’s video game season! Now that Clickbait Boyfriend and I are officially not going outside until March (I wish), we have a lot more time to spend running around virtual worlds. 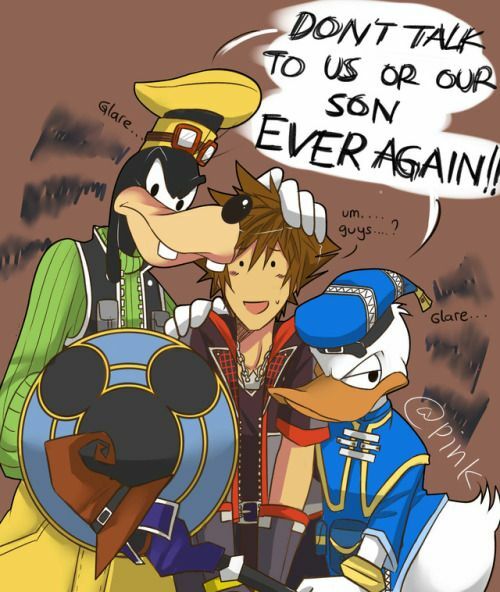 In Kingdom Hearts, that’s pretty literal. Our heroes are going to be doing some major world-jumping, so fasten your gummi seatbelts! Today’s journey begins in Olympus Coliseum, before returning to Traverse Town, doubling back to Olympus, and then blasting off to Agrabah! Sometimes, the best battle plan is to exploit your animal friends. Josh was surprisingly taken with Merlin’s antique store arena for magic practice. I’m not sure if I’ve ever spent more than thirty seconds at a time on it, but he bashed away at tea pots and chairs for a solid ten minutes. Pay no attention to the man beneath the armoire. Nothing like some good old fashioned sarcastic enthusiasm. Josh was not thrilled when many of his hard earned chests and trinities rewarded him with gummi blocks. I don’t get it. 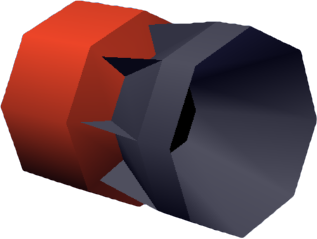 Who wouldn’t want one of these bad boys? It can make the Kessel Run in less than twelve parsecs. -on the continued objectification of Yuffie. 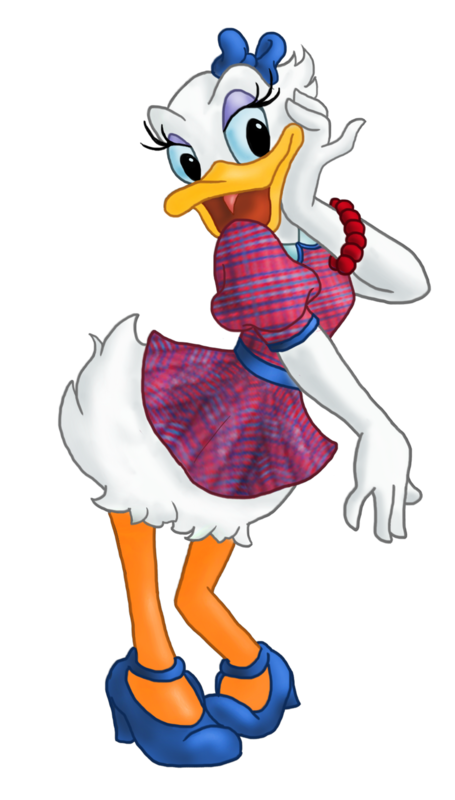 This whole Daisy Duck thing continues to get more and more disturbing. But here we go: Yuffie in short shorts and a crop top vs. Daisy Duck with her feathered booty fully exposed. 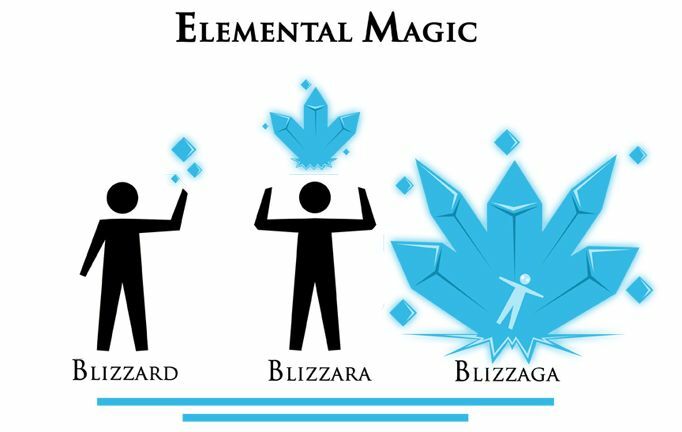 Annoying combat mechanics also matter. I still don’t see the resemblance. Folks, we’ve hit a big milestone in Clickbait Boyfriend’s playthrough here! With Traverse Town’s keyhole locked, the second circle of worlds has been unlocked! (See what I did there?). I thought Josh would quit long before this, to be honest. Let’s celebrate with some Phil Cup weirdness! Offended that you pronounced his name wrong. I never really noticed before how weird the names of each seed are in the tournaments. Someone in the writer’s room had fun with those/needed a break while crafting this bizarro story. Anyway, time to head off into the unknown (for anyone who hasn’t played this fifteen year old game, that is). 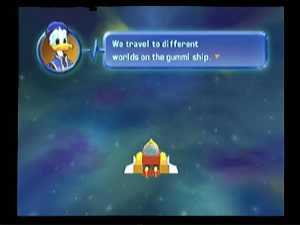 Have I mentioned that Josh thinks the gummi ship is dumb? I have? Well, he’s not making it a secret. This is a tough one. There is nothing inherently racist about a character that wears a turban. 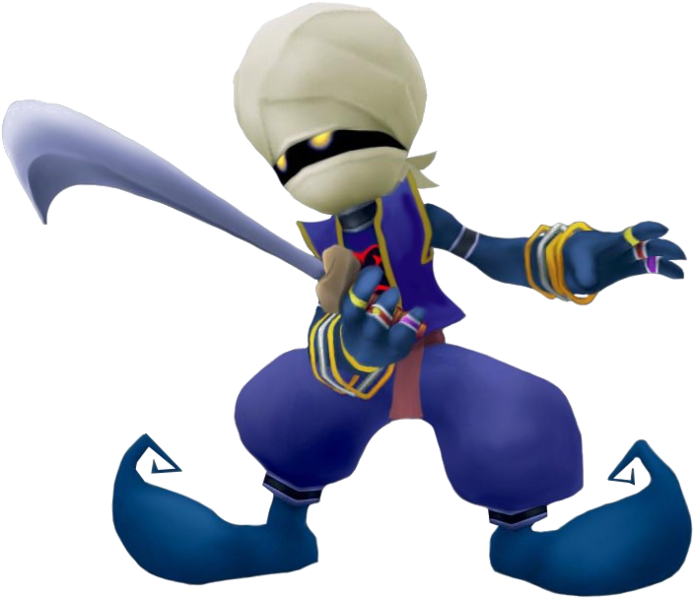 It may be a stereotypical way to indicate that the character is Arab, but it’s also true that many people from that region do wear turbans for religious reasons. 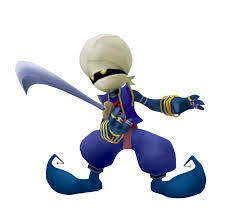 However, it is a little bit (and I hate to use this term) problematic that the most common enemy Heartless in Agrabah is costumed in this fashion. 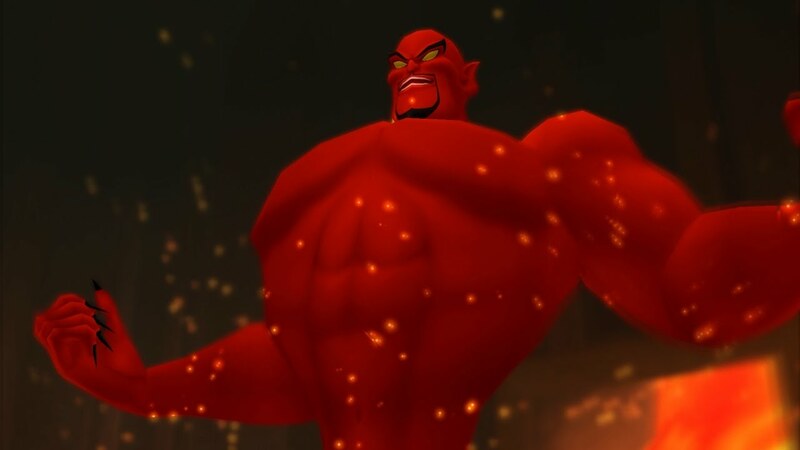 Why did the people of Agrabah turn into this particular monster and not ordinary Soldiers or Shadows? 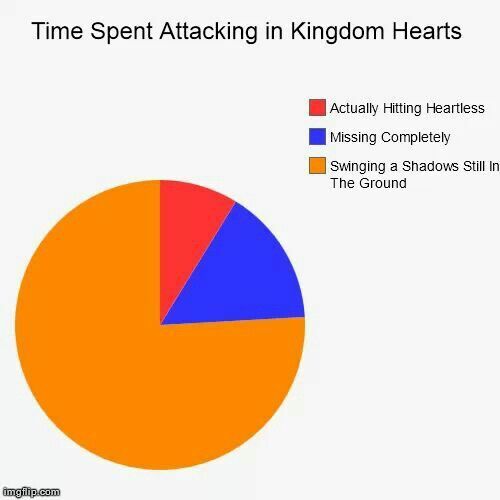 For that matter, why does anyone turn into any particular Heartless? Has this ever been addressed? Without any canon explanations, I have to assume some kind of racial or cultural dynamics are at play, which is more than a little icky. Also, correct me if I’m wrong, but it doesn’t seem like any POC made it to Traverse Town. 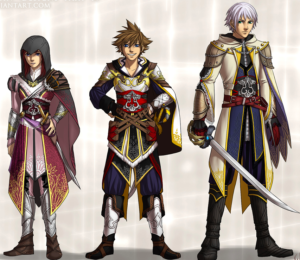 Disney’s universe is pretty lily-white, but I would love to see Kingdom Hearts 3 go further to remedy this than Kingdom Hearts 2 did. 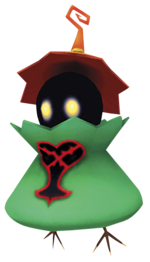 It also raises some fundamental questions about the nature of this Heartless. Is it wearing clothes, or are the turban, vest, and harem pants part of its being somehow? 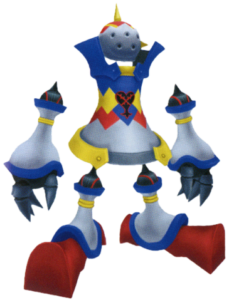 It seems like it should be the latter, given that we haven’t really encountered any Heartless that are clothed up to this point. That said, they look more like Star Wars Tusken Raiders than anything else. Cannot believe this image exists. Gives “don’t you dare close your eyes” in “A Whole New World” an entirely different meaning. Josh claims it’s just “one little phrase” in the Agrabah theme music that reminds him of the 1979 classic. I’ll let you be the judge. Yeah, the writers must have been phoning it in here. It really doesn’t make sense. 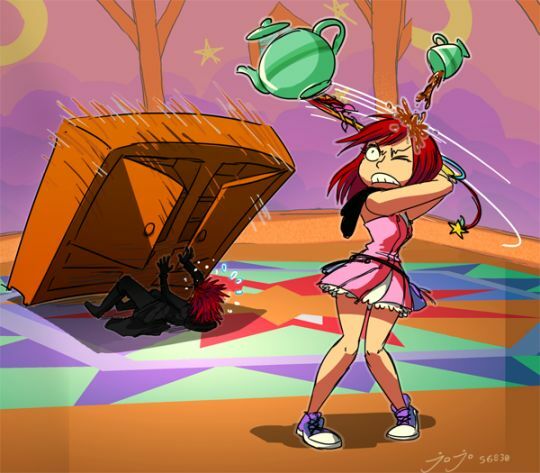 For those keeping score, our entrants are Genie Jafar, Turk the Gorilla, Yuffie, Kairi, and Daisy Duck. Official rankings are still TBD. Some things never change. Next time, whales, fairies, mermaids, and the Nightmare Before Christmas…just in time for Christmas!